Catch the last match of the three-team ICanServe Invitational Football Tourney at 3 p.m. on Saturday, September 24, Rizal Memorial Stadium. 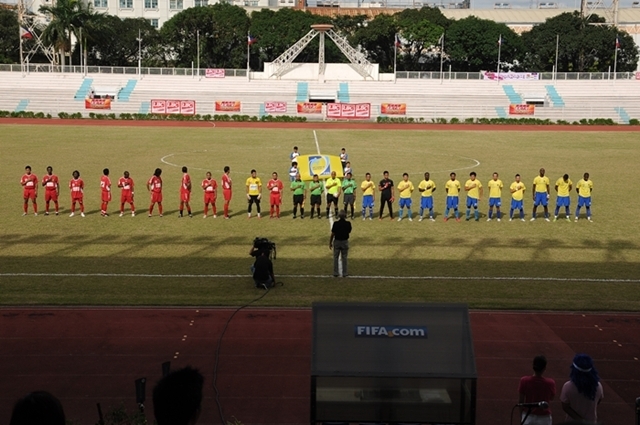 Kaya Futbol Club matches up against the Philippine Azkals, which won 3-2 over Global Futbol Club on Wednesday, September 21. 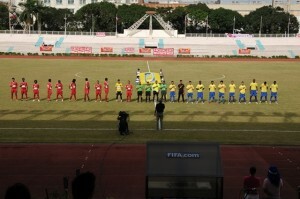 Global FC came out on top 1-nil vs Kaya FC at the opening game on Monday, September 19. 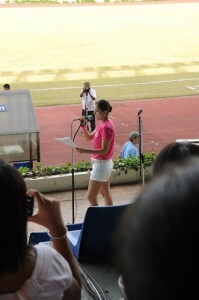 At the opening ceremonies, ICanServe Foundation member and volunteer Maritoni Fernandez thanked the three teams for making the event possible. Proceeds of the tournament benefit the ICanServe Foundation, a non profit organization that promotes early breast cancer detection through community-based screening and high-impact information campaigns. “Thank you…for believing in ICanServe, for supporting our advocacy for early breast cancer detection, and for helping us give hope and help to women at risk for or living with breast cancer,” she said. Fernandez also spoke of the similarities between athletes and breast cancer survivors: “First, we are dedicated and committed. Like the soccer players who commit to daily practice and dedicate themselves to continuous improvement, breast cancer patients must commit to fight for their lives and dedicate every waking minute to listening to the will of Father God so they can discern and weather the treatment path they are meant to take. “Second, we want to keep our dignity. Like athletes who play fairly and accept winning and losing with grace, breast cancer patients fight to the best of their abilities and accept treatment outcomes, whether good or bad, with dignity and grace. 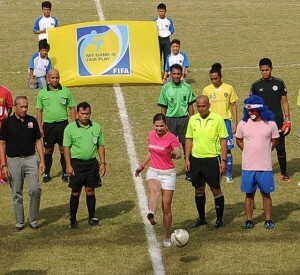 Fernandez joined Kaya FC and Global FC for the ceremonial kick to begin the tourney. Buy your tickets at LBC outlets and Mizuno Alabang Town Center, Trinoma, Mall of Asia, High Street and Megamall. Ticket prices: P50 for fight and left bleachers; P75 for middle bleachers; P150 for upper grandstand; P300 for lower grandstand. For inquiries, call the ICanServe Foundation, +632 636 5578.